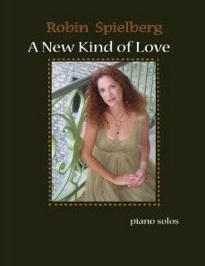 2003 / Spobs Music, Inc.
Robin Spielberg’s The Holiday Collection is one of my very favorite holiday songbooks, both to teach from and to play myself. 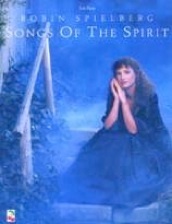 The fourteen pieces include three songs from Robin’s American Chanukah CD, and the others come from The Christmas Collection and In the Heart of Winter CDs; three of these are Robin’s original compositions. A few of the arrangements are fairly easy (intermediate level), but some are relatively difficult (early advanced), as they are note-for-note transcriptions of what Robin is playing on her recordings. 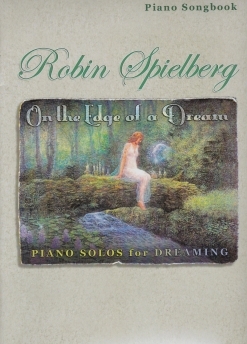 Robin often uses the full piano keyboard in her pieces, so players need to be able to read ledger lines and be quick about making big jumps from note to note. That said, these arrangements are superior in that they are beautiful, heartfelt, and very enjoyable to play. I have found that they add greatly to my holiday student recitals in both student enjoyment in learning and performing the pieces and in audience reaction. I give The Holiday Collection my highest recommendation. It is available from robinspielberg.com.